The Heat Project can offer a range of grants to insulate your home, funded through the Energy Company Obligation (or ECO for short). Through ECO, energy suppliers are required to spend money to help people like you to reduce their energy bills and we work with a number of energy suppliers to help them deliver this obligation. In some cases we can complete the insulation works free of charge but in order to confirm this we need to carry out a free survey which enables us to confirm the grant that we can claim and the cost to install the works. Currently insulation grants are available for all households in receipt of a qualifying income related benefit. Landlords can also apply for insulation grants for their rental properties, but the home must have an EPC rating of A, B, C, D or E.
If you wish to discuss our loft insulation grants or apply to have a free survey please call us free on 0800 0 246 231 or fill in the form on the right. We can then talk you through the best insulation options for your home and give you an idea on the likely cost and potential grant you can obtain. 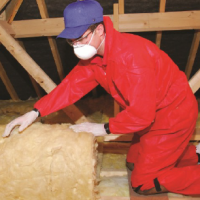 If your home was built before 1982 and the loft insulation hasn’t been topped up then you may have only 2 inches or less of insulation keeping you warm. These days lofts are topped up to around 300mm or 12 inches using one layer of fibreglass between the joists and a second layer across the joists. If your home already has 4 inches or more of insulation then a large part of the heat has already been stopped and as a result the grants we can offer you are fairly small. Homes built after 1982 would typically have 4-6 inches of loft insulation which would have been installed as part of building regulations. 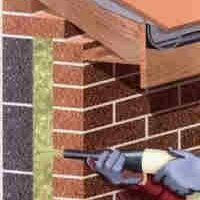 If your home was built after 1935 it is likely to have cavity walls. If your cavity walls haven’t been insulated then you could be losing up to 35% of your heat and it will be harder to keep your home at a constant temperature. The Heat Project can offer you a grant to have your cavity walls insulated and we can manage the whole process through our local approved contractors.